By the time they're in elementary school, some kids prove to be more troublesome than others. They can't sit still or they're not socializing or they can't focus enough to complete tasks that the other kids are handling well. Sounds like ADHD. But it might be that they're just a little young for their grade. "Within that age range there is a huge difference in developmental and social and emotional maturity," says Dr. Adiaha Spinks-Franklin, a developmental and behavioral pediatrician at Texas Children's Hospital who was not involved in any of the studies. "A 6-year-old is just not the same as a 7-year-old." And yet a first-grader might stand shoulder to shoulder with another student nearly 12 months her elder. "And the way we diagnose ADHD is we talk to the parent about the child's behavior, and we mail the teacher questionnaires," Spinks-Franklin says. "The teacher will be comparing the child's behavior relative to other children in the class." That could lead to a mistaken diagnosis of ADHD. Zoëga says the younger the student, the greater the likelihood that student will receive an ADHD diagnosis or medication. "If you look at the [students' age] just month by month, you'll see that the likelihood increases with each month," she says. Zoëga says the only country studied so far where the relative age of young children doesn't seem to have an effect on ADHD diagnosis is Denmark, where there's more flexibility for when children enter school. So this could be because Danish parents with kids who are born just before the cutoff date for grade school entry choose to hold their offspring back one year. But if you're an American parent with children born in the months of December, November or October, that doesn't mean a child should repeat a grade for the fear their relative youth will handicap them, Spinks-Franklin says. "There is absolutely no data to support grade repetition for maturity issues. Children who repeat a grade are at a higher risk of dropping out of high school. They are more likely to be bullied." If the child does have ADHD or another disorder, she notes, repeating a grade will not fix the disorder. 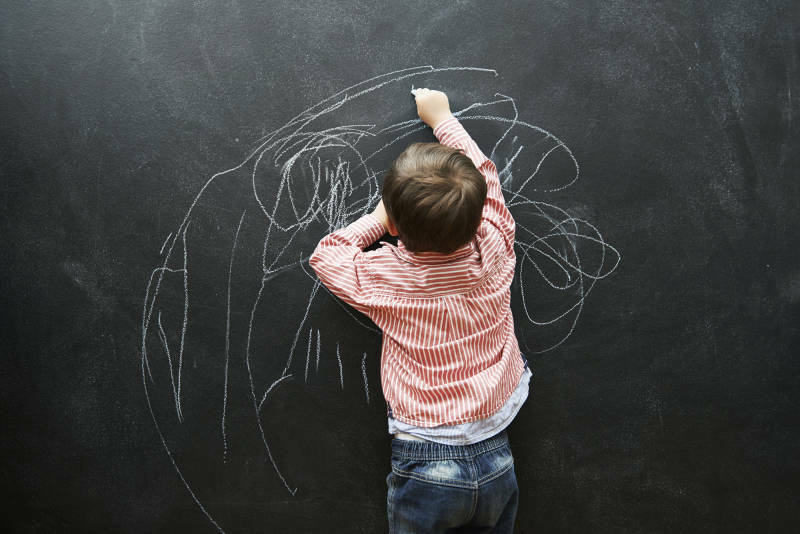 And relatively younger children diagnosed with ADHD might really have ADHD, says Dr. Mu-Hong Chen, a psychiatrist at Taipei Veterans General Hospital. "There's a potential for the harm of overdiagnosis and overprescription." That would unnecessarily subject kids to unwanted side effects of stimulant medication and the stigma of the disorder. But perhaps older, more mature-looking students are just being underdiagnosed and not get help they might need, he says. The studies didn't look into that. The best thing for worried parents to do is just give the kids a chance to grow up, Chen says. In most of the studies done on relative age and ADHD, the difference in diagnosis rates vanished by the time the students reached their teenage years. "I think we have to wait for a while, he says. "We have to have more time to evaluate their behavior, attention and brain development." The data also mean that doctors should take the child's relative age into account when diagnosing ADHD, Zoëga says. "It has a sensible solution. Just treat the individual according to his or her age."